First Bharath Award recepient means National Award for Best Actor, P.J. Antony left the world of Malayalam Cinema on March 14, 1979. We still have thoughts of his performance in the movie "Nirmalyam", in which P.J.Antony done the character of a Velichapad, in a scene- where he fell to the death on the statue of goddess, remains the perfect example for the next generation to come. and after that he gave preferences to the movies, thats why this great artiste had less movies to his name, while there were about 80 films added to his credit. A respectable figure in the play group K.P.A.C and he also established Prathibha Theatres in Kochi. His debut film was "Randidangazhi" in 1957, which was based on the novel of Thakazhi Shivasankara Pillai. 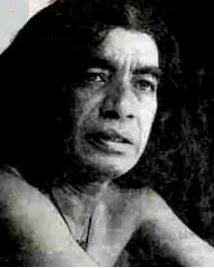 We salute this Actor, Director, Script Writer, Lyricist on his 33rd death anniversary.